The Mutineer and Fear and Loathing at Rolling Stone brought forward? Again just browsing Amazon.co.uk and I noticed two new release dates for the above. 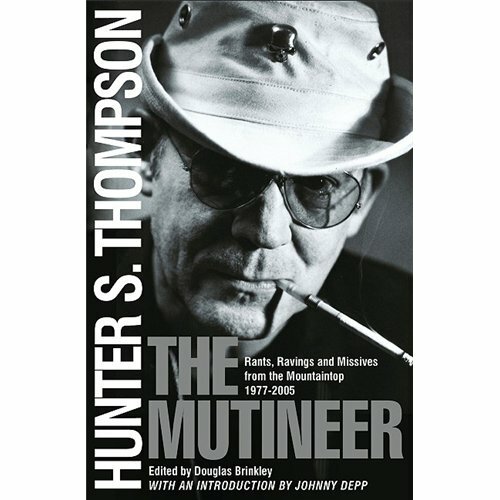 Fear and Loathing at Rolling Stone now has a release date of May 1st 2010 and The Mutineer has a release date of June 1st 2010. I have always been wary of Amazon release dates but to add to this one of our totallygonzo forum members, Chivas Regal, recently received an email from Amazon informing him of the new release date. They have also added a larger image of the books cover.What with the new reissues by Picador, the movie tie-in of The Rum Diary AND the impending release of the film, are publishers hoping to cash in on all the publicity? Prev Picador to reissue slew of Hunter S. Thompson works. Next Paris Records – The Kentucky Derby is Decadent and Depraved! Great news, Rory. Looks like The Mutineer’s release wasn’t being held up because of sensitive material, rather for the most opportune time to piggyback on the upcoming film release. I hope these release dates are accurate…Simon & Schuster, Borders and Buy.com all still have 2/1/2011 for the Mutineer and 11/9/10 for the Rolling Stone compilation. Looking forward to them, whenever they’re released. You can bet this one won’t be one of those books where people get all pissed because it’s in paper a few days before the Kindle edition comes out. Or if HST fans have jumped on that materialistic bandwagon, God save us all.